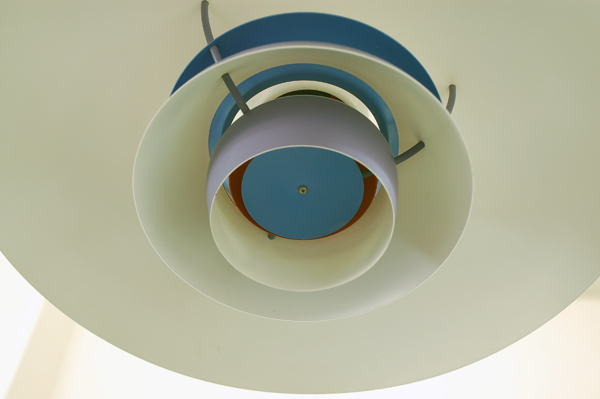 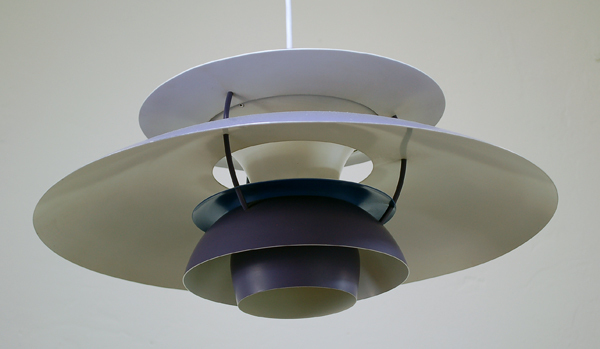 Earlier PH-5 chandelier designed by Poul Henningsen. 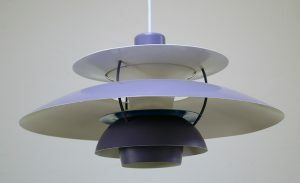 This has a purple exterior that is no longer available. Good vintage condition. Some small losses of paint. New cord.